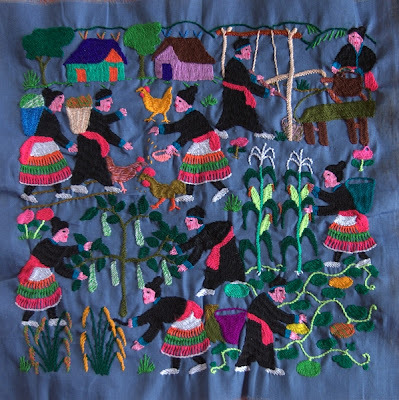 While TAMMACHAT focuses on supporting rural weavers in Thailand and Laos, we couldn't resist the Hmong story cloths (called "Paj Ntaub Tib Neeg" in Hmong) on display in Luang Prabang, Laos. 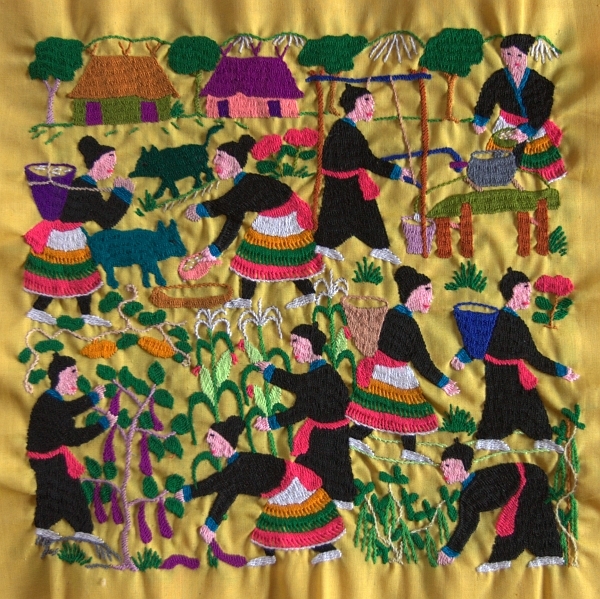 These colourful cloths showcase the traditional embroidery skills of Hmong women, often seen stitching in villages and markets, especially in northern Laos. 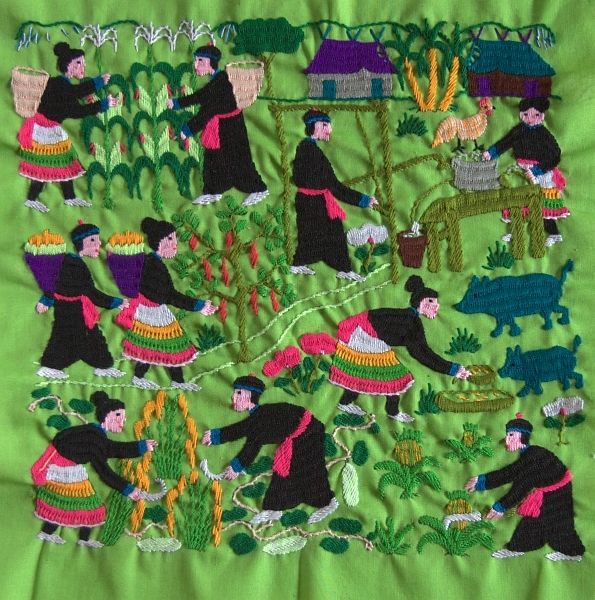 The cloths we purchased depict life in Hmong villages and surrounding forests. 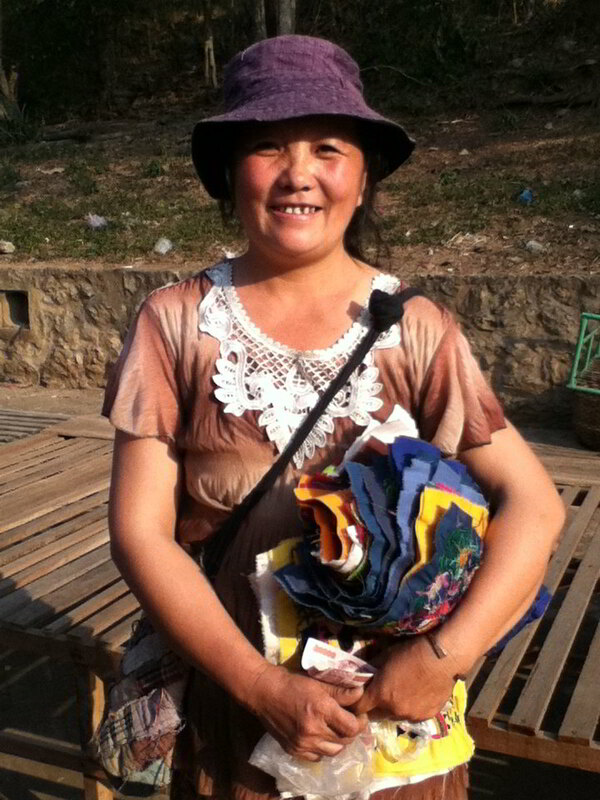 Others tell stories of war and hardship. We bought these story cloths from Ms Boonsong, a woman we met who comes from a small village about 60 km from Luang Prabang. The embroidery is particularly detailed and beautiful. 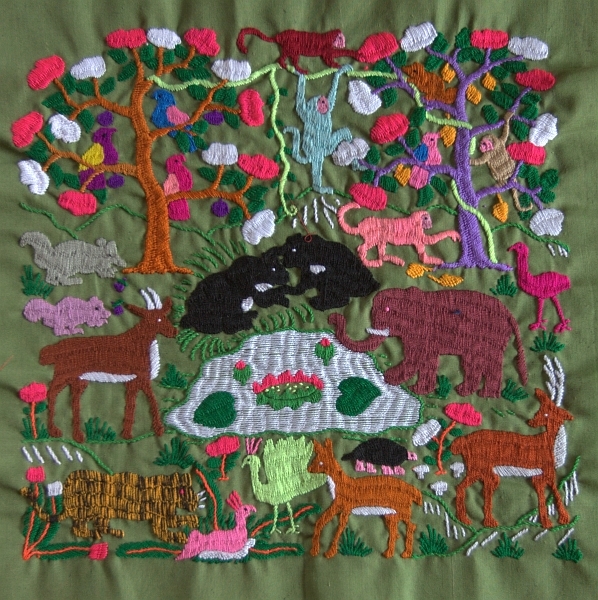 Each carefully stitched piece, about 10" square, takes about 5 days to complete. 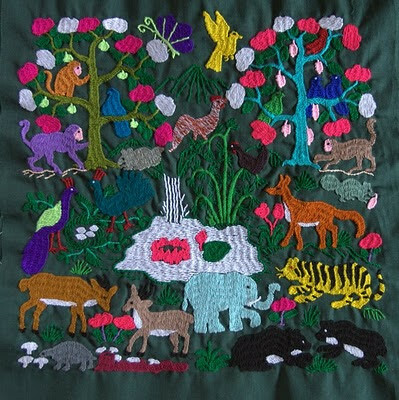 They can be incorporated into larger quilt pieces or enjoyed as they are. 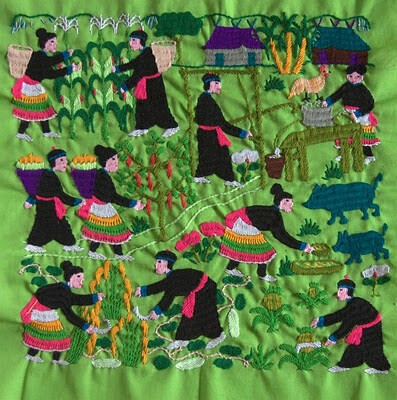 For a fascinating and lengthy discussion of Hmong stitchery, we recommend Geraldine Craig's recent investigation of Hmong textiles entitled, "Patterns of change: transitions in Hmong textile language" which was published in the Jan. 2010 edition of The Hmong Studies Journal. Ms Craig discusses the transition in Hmong needlework from abstract and symbolic geometric patterning to a "new pictorial embroidered textile language." Her paper concludes with a compelling list of references. The paper is freely available online.